November 6, 2015 RF Wilkin Ramirez elected free agency. September 24, 2015 Rochester Red Wings activated RF Wilkin Ramirez from the 7-day disabled list. 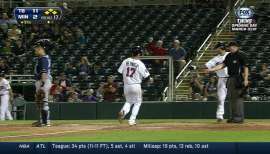 July 20, 2015 Rochester Red Wings placed RF Wilkin Ramirez on the 7-day disabled list. Fractured left leg. May 5, 2015 Rochester Red Wings activated RF Wilkin Ramirez from the 7-day disabled list. April 9, 2015 Rochester Red Wings placed RF Wilkin Ramirez on the 7-day disabled list. January 12, 2015 RF Wilkin Ramirez assigned to Rochester Red Wings. January 7, 2015 Minnesota Twins signed free agent RF Wilkin Ramirez to a minor league contract. June 30, 2014 Rochester Red Wings activated RF Wilkin Ramirez from the 7-day disabled list. November 20, 2013 Minnesota Twins invited non-roster RF Wilkin Ramirez to spring training. October 22, 2013 Minnesota Twins sent RF Wilkin Ramirez outright to Rochester Red Wings. September 9, 2013 Wilkin Ramirez roster status changed by Minnesota Twins. August 30, 2013 Minnesota Twins placed RF Wilkin Ramirez on the 15-day disabled list. Fractured left tibia. 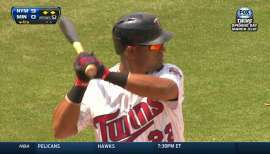 August 12, 2013 Minnesota Twins activated RF Wilkin Ramirez from the 15-day disabled list. August 3, 2013 Minnesota Twins sent RF Wilkin Ramirez on a rehab assignment to New Britain Rock Cats. July 29, 2013 sent RF Wilkin Ramirez on a rehab assignment to GCL Twins. June 20, 2013 Minnesota Twins sent OF Wilkin Ramirez on a rehab assignment to Fort Myers Miracle. June 9, 2013 Minnesota Twins placed RF Wilkin Ramirez on the 15-day disabled list. Concussion-like symptoms. May 27, 2013 Minnesota Twins placed RF Wilkin Ramirez on the 7-day disabled list. Concussion-like symptoms. April 16, 2013 Minnesota Twins activated RF Wilkin Ramirez from the paternity list. April 14, 2013 Minnesota Twins placed LF Wilkin Ramirez on the paternity list. 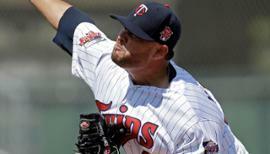 March 31, 2013 Minnesota Twins recalled LF Wilkin Ramirez from Rochester Red Wings. November 20, 2012 Minnesota Twins invited non-roster LF Wilkin Ramirez to spring training. October 14, 2012 LF Wilkin Ramirez assigned to Toros del Este. 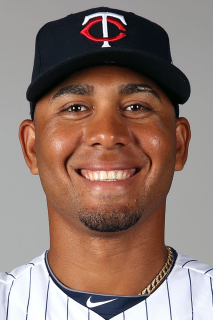 May 15, 2012 Wilkin Ramirez assigned to Rochester Red Wings from New Britain Rock Cats. May 1, 2012 Wilkin Ramirez assigned to New Britain Rock Cats from Fort Myers Miracle. April 27, 2012 Wilkin Ramirez assigned to Fort Myers Miracle from Rochester Red Wings. April 5, 2012 Wilkin Ramirez assigned to Rochester Red Wings. December 27, 2011 OF Wilkin Ramirez assigned to Gigantes del Cibao. November 18, 2011 Minnesota Twins signed free agent LF Wilkin Ramirez to a minor league contract and invited him to spring training. November 1, 2011 Atlanta Braves sent Wilkin Ramirez outright to Gwinnett Braves. October 1, 2011 Wilkin Ramirez roster status changed by Atlanta Braves. July 28, 2011 Atlanta Braves optioned LF Wilkin Ramirez to Gwinnett Braves. July 27, 2011 Atlanta Braves recalled Wilkin Ramirez from Gwinnett Braves. July 25, 2011 Atlanta Braves optioned Wilkin Ramirez to Gwinnett Braves. June 18, 2011 Atlanta Braves recalled Wilkin Ramirez from Gwinnett Braves. May 29, 2011 Atlanta Braves optioned Wilkin Ramirez to Gwinnett Braves. May 23, 2011 Atlanta Braves selected the contract of Wilkin Ramirez from Gwinnett Braves. November 29, 2010 Atlanta Braves invited non-roster LF Wilkin Ramirez to spring training. November 4, 2010 Wilkin Ramirez assigned to Toros del Este. November 3, 2010 OF Wilkin Ramirez assigned to Toros del Este. September 1, 2010 Atlanta Braves sent Wilkin Ramirez outright to Gwinnett Braves. July 31, 2010 Detroit Tigers traded LF Wilkin Ramirez to Atlanta Braves. July 31, 2010 Wilkin Ramirez assigned to Gwinnett Braves from Atlanta Braves. July 28, 2010 Detroit Tigers designated Wilkin Ramirez for assignment. June 8, 2010 OF Wilkin Ramirez assigned to Toledo Mud Hens from Erie SeaWolves. March 27, 2010 Detroit Tigers optioned Wilkin Ramirez to Toledo Mud Hens. October 21, 2009 OF Wilkin Ramirez assigned to Tigres del Licey. September 1, 2009 Detroit Tigers recalled Wilkin Ramirez from Toledo Mud Hens. September 1, 2009 Wilkin Ramirez roster status changed by Detroit Tigers. August 5, 2009 Detroit Tigers optioned Wilkin Ramirez to Toledo Mud Hens. August 4, 2009 Detroit Tigers recalled Wilkin Ramirez from Toledo Mud Hens. August 4, 2009 Detroit Tigers activated LF Wilkin Ramirez. May 22, 2009 Detroit Tigers optioned Wilkin Ramirez to Toledo Mud Hens. May 19, 2009 Detroit Tigers recalled Wilkin Ramirez from Toledo Mud Hens.